Screening results require competent follow-up and care coordination. Out-of-range results trigger flags, and flags can be used to generate referrals when appropriate. Using profiles and connections to share results, flags and referrals, enables the responsible parties to coordinate their efforts, making sure the client’s needs are met. Similar to social media platforms, profiles are setup for clients and connections are used to control permissions and access to the client’s information. Connections are made between screening and care coordination sites. This enables screening results, flags and referral information to be accessed and maintained by those that need to know and have been granted permission. 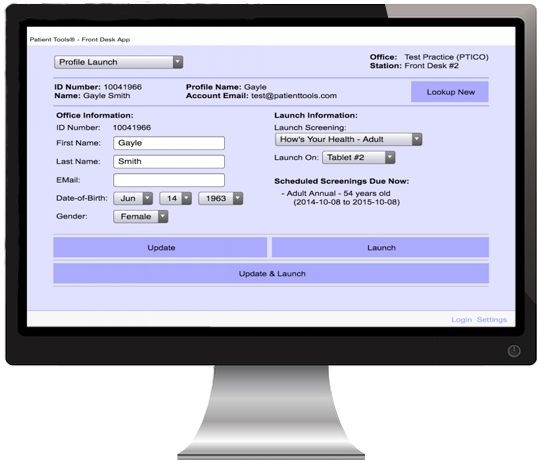 Typically you think of sharing reports as a time saver for the client not having to repeat a screening at a different site. However the real advantage of sharing screens is that you increase everyone’s reach. If a screening gets done online or at a specific site, all of the other connections can simply access the report rather than spend the time and cost to do the screening themselves. Flags are triggered when a screening result is out-of-range. The flag automatically gets assigned to the screening location but can be shared with a call center navigator, public health nurse, clinic or early learning center as appropriate. The responsible parties need to manage the flag’s status, notes and disposition, and close it when it’s finished. Referrals are created based on a flag (or referral) at a source location and must be accepted by the destination location. Once this connection is established, the referral status, notes and disposition can be shared in real-time. Routing this information into a local EMR or data system makes the process seamless. Sharing information in a Community Network is easy. You start with a single app or portal and make connections to build out. Everyone simply manages their own clients and benefits from shared information through their connections.